Chic Wish was my favorite discovery of 2014. 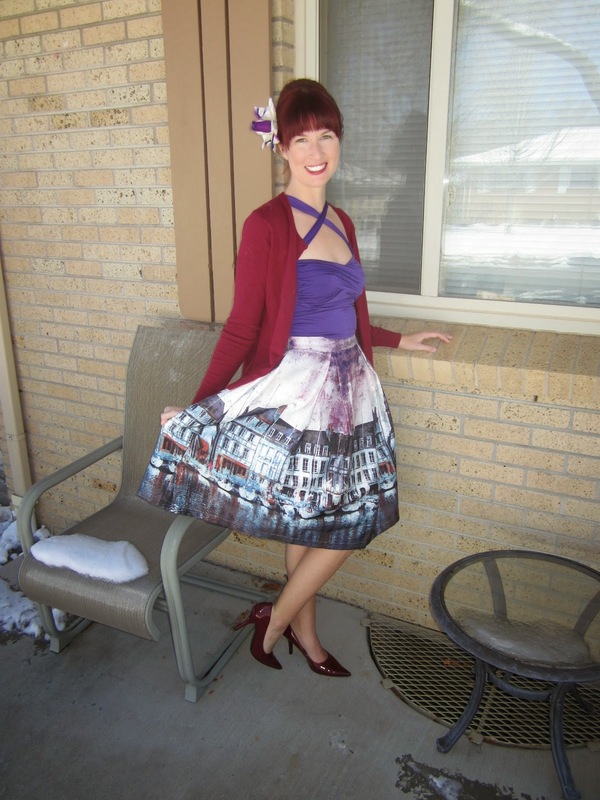 Skirts and novelty prints are amongst my favorite things, and CW is lousy with those items! I even did a Gaga For post about Chic Wish here. Over the holidays they did some pretty impressive sales, so I indulged in some of the items I coveted knowing I probably wouldn't get them cheaper than the prices they had listed. 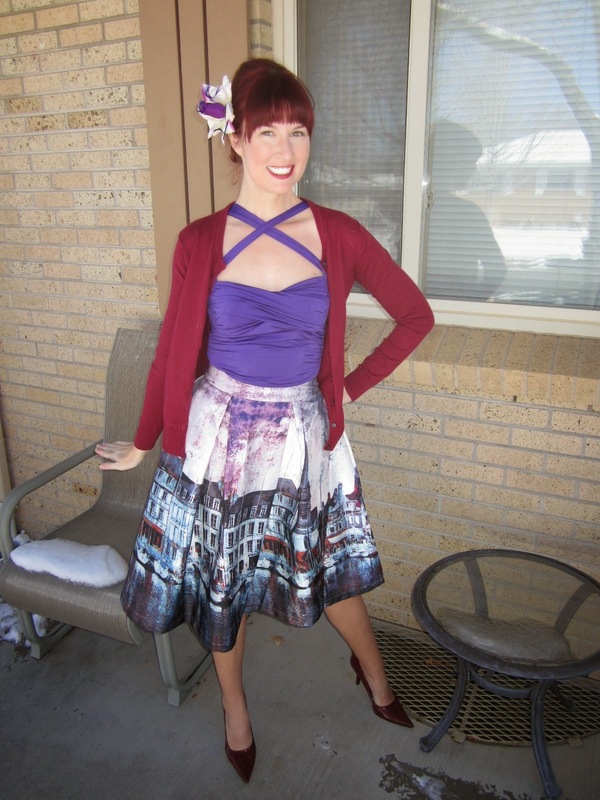 One of my favorites is this purple landscape skirt! I consider Chic Wish to be of pretty high quality, but I must say that this skirt is even more durable than the other ones I own! The fabric is thicker so it doesn't wrinkle quite as easily and the zipper is bigger and heavier. The details are completely beautiful in person and it truly is one of the prettiest pieces of clothing that I've ever owned! Additionally, I consider it to be the kind of piece of clothing that you can wear throughout every season. I think owning those pieces of clothing is important no matter what because getting a lot of use out of your clothes is ideal. This is double true for us Colorado kids though, as the seasons change every week!! Hi Lauren, I keep meaning to tell you that you are the one who introduced me ChicWish and their fab scenery print skirts! I've ordered 4, and while I'm in love with the prints, I'm still on the fence with regard to how they fit me. I may just be too short. They are so wonderful, though, and you look fantastic in them! Oh no way!! Yeah, the fits are a little bit different than some other skirts I own, but I've found that if there's a will there's a way haha! XOXO thanks for telling me that!